Do Our Judges Make Sense? R.J. Rushdoony: 00:00 Do our judges make sense? This is R.J. Rushdoony with a report on our threatened freedom. The Washington Monthly for November 1980 called attention to the growing irrationality of many court decisions. For example, the US Court of Appeals recently ruled that the police can search a paper bag without a warrant, but a zippered leather pouch cannot be searched without a warrant. R.J. Rushdoony: 00:27 The US Supreme Court has given a series of strange decisions with respect to aid to parochial schools. According to these decisions, tax funds can be used to supply textbooks to parochial school students but not to parochial schools. However, projectors and maps cannot be supplied at all and guidance services cannot be on school grounds. All this is supposedly in the name of the First Amendment. Why are maps a violation of the First Amendment and textbooks are not? Do the judges know something about textbooks and maps of which the rest of us are ignorant? R.J. Rushdoony: 01:11 In a Kansas City case a civil servant who was operating a private business on government time and using a government secretary to do it. The man’s defense was that it was routine practice among federal officials. A jury found him guilty and he resigned. The judge, however, soon thereafter overturned the jury verdict on the grounds of criminal intent was lacking. The civil servant then asked the Merit System Protection Board to reinstate him. An administrative judge not only ordered his reinstatement but stipulated that the man was to be awarded 20 thousand dollar in back pay. The man, by the way, not only pleaded in his trial that everybody was doing it but also that his job did not take much time so he used the vacant time for his own business. R.J. Rushdoony: 02:06 The law and its judges cannot command respective. Decisions as well as laws are irrational, unreasonable, and unfair. When the law of the courts make a judgment it is necessary for that judgment to be right and just to the people for law enforcement to flourish. When, however, people waive the law, and the courts, and the balances of justice and find them wanting, there will be serious unrest in a country. R.J. Rushdoony: 02:37 Daniel tells us that the fingers of a man’s hand appeared on the wall of Belshazzar’s palace to write a sentence of final judgment, “Mene, mene, tekel, upharsin.” That is, a judgment stating that Babylon was numbered, weighed, and judged. Now, increasingly, that same judgment is being written on the minds of many Americans as they see the directions of our law and our courts. R.J. Rushdoony: 03:09 The foundation of freedom is righteousness or justice. If the law begins to represent instead a form of injustice or unrighteousness, the law itself will be judged by both God and man. Solomon said, “Righteousness or justice exalted the nation but sin is a reproach to any people.” Today, all too often our laws and courts are a reproach to and an embarrassment to us. They have parted company with justice and also with us. They’re instruments too often of injustice and power, not of justice and freedom. 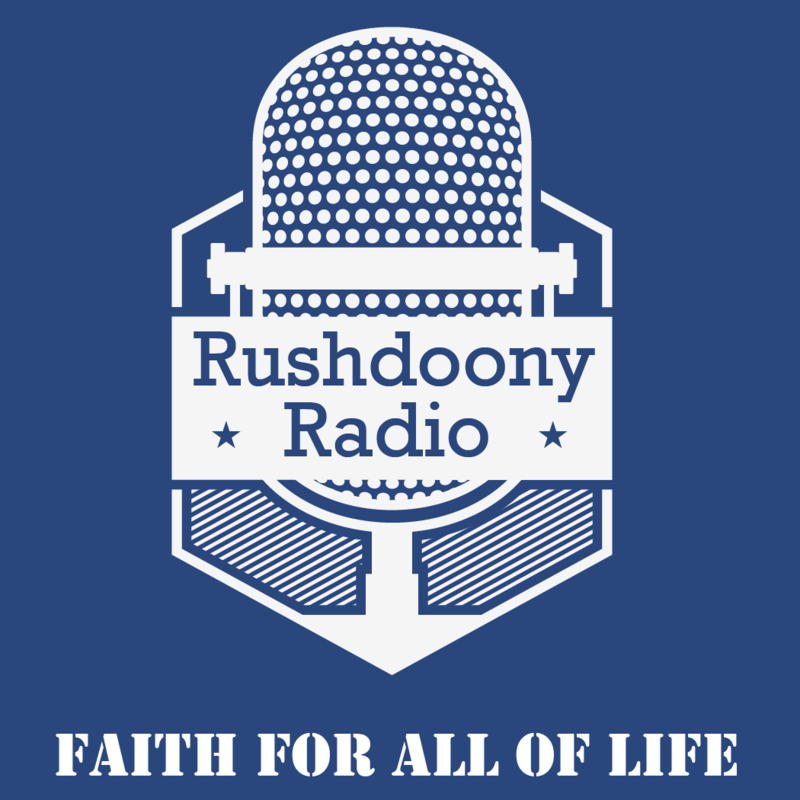 R.J. Rushdoony: 03:54 This is R.J. Rushdoony with a report on our threatened freedom.